This year’s Honored Guests for the Burney Basin Days Parade are John and Deanna Ospital. John “Johnny” Ospital was born in Stockton. In 1950, his father John Sr. moved to Round Mountain to work in the lumber business. The Ospitals are of Basque heritage and the rest of John’s father’s family were involved in sheep herding. John’s mother was full-blooded Italian. In 1957, when Pete Norbaitz relocated his business to Burney, the Ospital family moved to Burney. John met Deanna Lee in 1958 at Fall River Joint Unified High School. Deeana, from McArthur, is the granddaughter of William Lee, one of the settlers of McArthur who owned and operated the Lee Ranch. 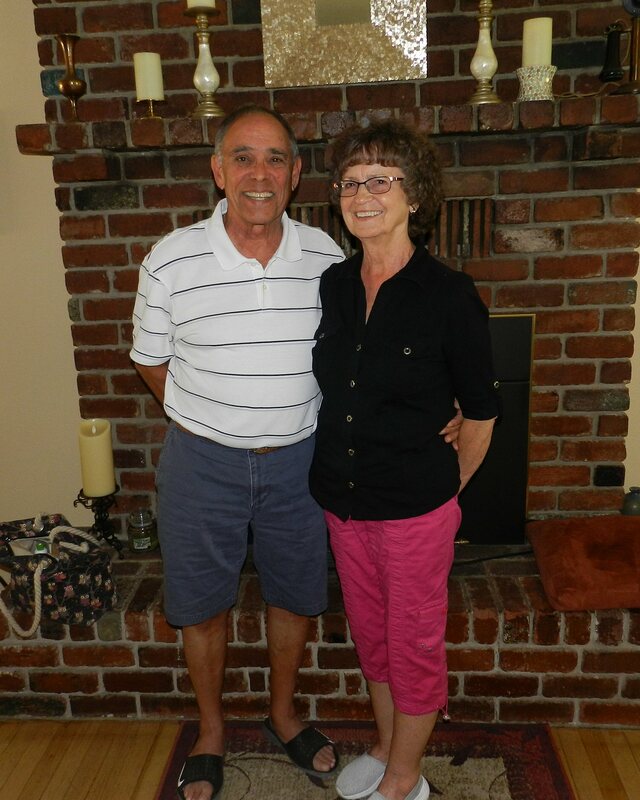 John and Deanna were married at St. Francis Church in Burney in 1962. They raised two daughters who graduated from Burney High School. John enjoyed playing music, so after graduating he went to college to study music. He found that the emphasis was on training to be a music teacher. He was more interested in playing live music. He also realized that what he wanted was a job and a nice little house with a white picket fence where he and Deanna could settle down to raise a family. John went to work for Scott Lumber Company helping to produce and market Fertimulch, an innovative product created by the Scott Lumber Company in Burney. In 1963, his father bought a garage in Burney and John worked together with him running Ospital Service. Next, John worked as a sales representative for AAA insurance .Then he worked for 29 years for Citizens Phone Company that became Frontier. During his varied career, John continued to pursue his love for music by performing as a drummer throughout the Intermountain area. While working and raising a lovely family, John and Deanna served the community in numerous ways over the decades. They have been involved in Burney Basin Days and community activities since the early 1960’s through the Jaycees and the Jaceettes. Deanna has been a member of the Soroptimists for more that 25 years. She has helped with the Christmas tree lighting ceremony since its inception. John was a charter member of Burney Rotary. He has been an active participant in the Burney Chamber of Commerce since 2000 and was very involved in the Burney Beautification Project. Both John and Deanna have helped organize the Burney Basin Days Parade for the past 13 years. In recent years, they have also helped to facilitate the Chamber of Commerce Ham Run. Throughout their years of service to the Burney Community they have always maintained a “can do” spirit and radiated an atmosphere of good cheer.